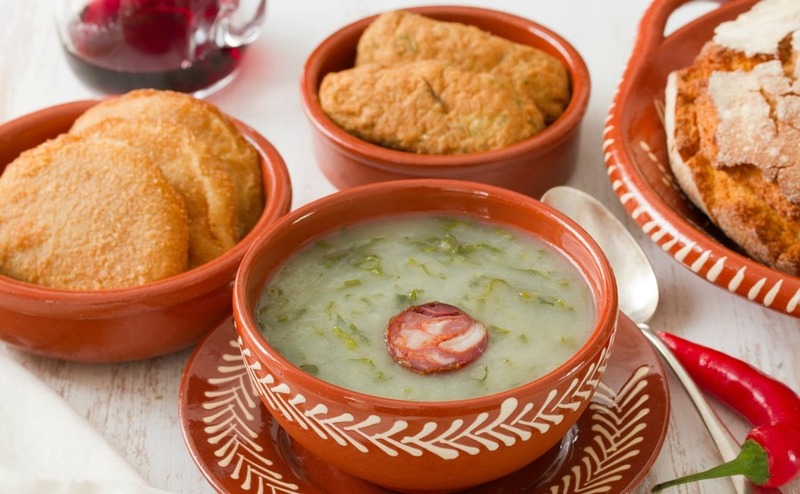 When you think about food in Portugal it’s quite possibly fresh sardines and prawns sizzling over charcoal that first spring to mind – but Portugal has some fantastic cold-weather winter dishes to too. 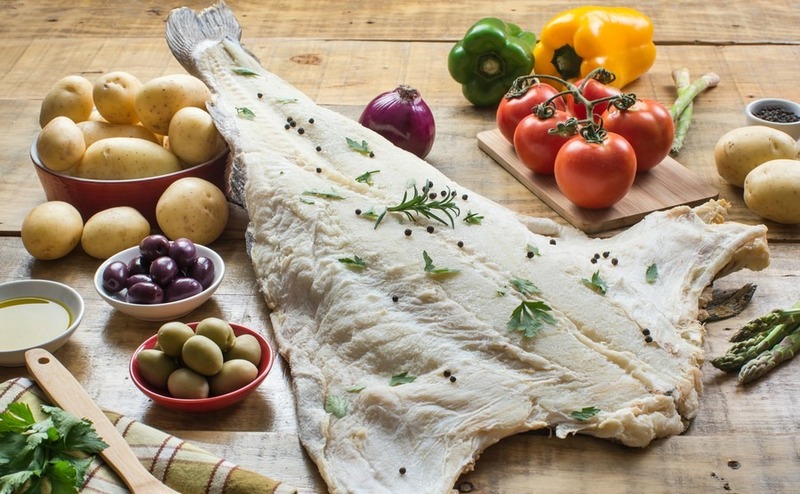 Bacalhau (salt cod) is considered by many to be Portugal’s national dish. There are hundreds of ways to cook it, but bacalhau à Brás is one of most well-known and widely available. The dish consists of salt cod, onions and garlic, cooked with matchstick thin potatoes and scrambled eggs, usually served with a handful of olives on top. It’s true comfort food and a great winter warmer. 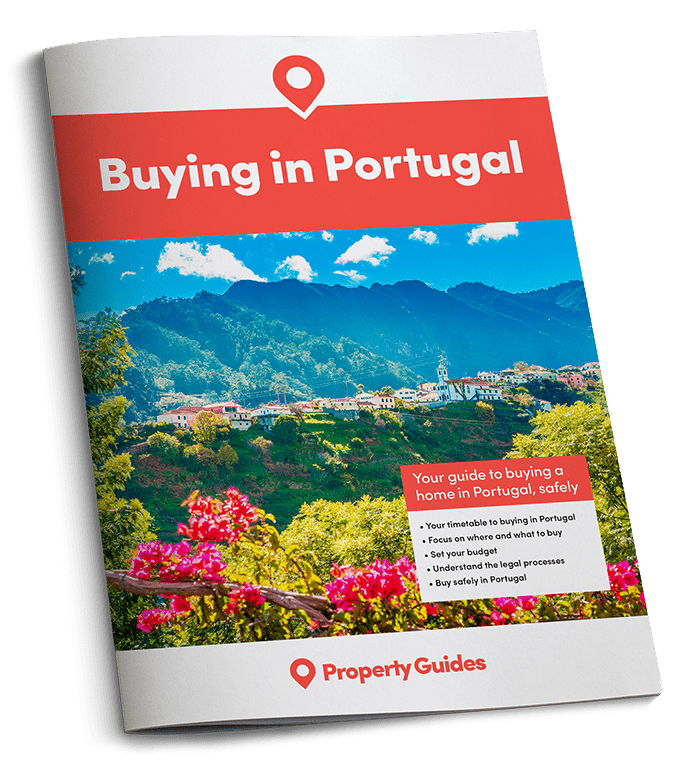 If you’re fortunate enough to be in Portugal, you’ll often find some of the best bacalhau à Brás at simple and inexpensive hole-in-the-wall takeaways. Very different to the arroz de marisco (shellfish rice) that’s so popular in summer, arroz de pato (duck rice) makes for great comfort food. It’s incredibly simple; Rice is cooked in flavoursome duck stock and joined by shredded duck and onions. A drizzle of piri piri sauce brings it all together. Arroz de pato is another dish frequently found in small local takeaways, and you can also find passable versions pre-made on supermarket counters. Fierce debate takes place as to whether feijoada hails from Brazil or Portugal. Really though, the heritage doesn’t matter. What does matter is that this is a great dish for those colder evenings in Portugal. Feijoada comes in many different varieties, but generally includes a central meat or fish, beans and rice, all stewed together with some vegetables. For the winter, bypass the light prawn variants that go down a treat in the Algarve summer, and make a beeline for richer versions packed with local chorizo. Caldo Verde (essentially cabbage soup) is becoming more known in the UK recently, with recipes gracing the pages of food magazines over the past year. For something that sounds so simple, it’s extremely enjoyable – and it’s all down to the quality of the ingredients and trimmings. Essentially the soup requires great stock, potatoes and cabbage. The “correct” cabbage is collard greens (couvos), which is available pre-shredded in Portugal, but kale or Savoy cabbage will do. What brings it all together is the quality of the accompanying bread, and the drizzled olive oil and piri piri. As to the addition of chorizo – well there’s enough debate on that for a whole separate article! Shellfish does seem like something of a summer indulgence, but it would be a shame to waste the prawns so readily available (albeit often imported) in Portugal. Açorda is a rich bread stew made with a rustic Portuguese loaf. In some restaurants, the crust of the loaf is used as the bowl for the dish. Onions, paprika, garlic and parsley add to the flavour, and the texture somewhat resembles a thick risotto – perfect for warming you up on a cold Portuguese day.